As a reminder of the announcement made at the July 11th GFSTC Council Meeting, there will be a Public Hearing held on the Proposed GFSTC Rules Changes. The Public Hearing will be held at the Fire Service Conference, August 23, 2017 at 10:30 am at the Hilton Garden Inn across from the Classic Center in Athens. The room will be announced at a later date. There is a problem with the NPQ applications, please DO NOT print them until we post a notice that they are correct. This should be corrected by the end of this week. The online change of status no longer works. If you have submitted an online change of status that you have not printed out and sent to us, please do so as soon as possible. The notice below was put on our website under the News section on January 6, 2017. Please DO NOT USE the online change of status. If you need to add/remove people to you roster and don't know how to do it on the new system please call our office and we will be glad to help you. Many of you know know that our database has been having issues for a year. 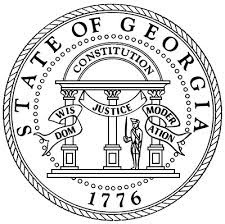 If any of you submitted online change of status, please print those off and fax them to us at 478-993-4511 if you haven't already. That information is lost and can't be brought over to the database. We are working hard on getting everything entered that has been submitted by paper form to us. It will take us some time to get caught up. They tell us the new database will be going live by the end of January. PLEASE DO NOT ENTER ANY ONLINE CHANGE OF STATUS UNTIL FURTHER NOTICE. Below are the proposed changes to the GFSTC 2016 Rules & Regulations. The changes are to “205-1-2-.02 Minimum Requirements for Fire Departments“ lines 250-331. The changes are in sections (4) and (5) from line 287 thru line 321. The wording that is in bold and unlined is what is proposed as additions and the strike-through wording is what is being proposed to be removed. Please review the proposed changes and forward any comments you may have to the Gordon Henderson ghenderson@gfstconline.org at the GFSTC office. Recognizing that fire departments operating in the State of Georgia cannot function effectively and efficiently as full-time fire departments without meeting or exceeding the minimum requirements established by Official Code of Georgia Annotated, Title 25, Chapter 3 - Article 2. It is the intent of these Rules & Regulations to establish the minimum requirements for all fire departments operating in this state in order to receive a Certificate of Compliance. Legally organized fire departments may exist as a private corporation incorporated either for-profit or not-for-profit through the State of Georgia Secretary of State and has a written contract to provide fire and emergency services with one or more local governments in Georgia. No fire department shall exercise the general and emergency powers set forth in O.C.G.A. §25-3-1 and §25-3-2 without obtaining a Certificate of Compliance issued from the Georgia Firefighters Standards and Training Council. Be capable of providing fire protection 24 hours a day, 365 days per year. Understanding the nature of the fire service in the State of Georgia, this may be accomplished through the use of mutual-aid or automatic-aid agreements with neighboring fire departments. Be responsible for a defined area of operations depicted on a map located at the responding fire station(s). This area of operations as depicted on the map shall have been approved and designated by the governing authority of the applicable county, municipality, or other political subdivision in the case of any county, municipal, or private corporation fire department. Be Staffed with a minimum number of trained Volunteer Suppression or State Certified Firefighters who have successfully completed basic firefighter training as specified by the Council. 1. Minimum Staffing shall be four (4) Volunteer Suppression or State Certified Firefighters per station. An average of six (6) members per station, of which 2 of the 6 may be Volunteer Support Firefighters, is recommended. The minimum number of firefighters will be calculated as an aggregate total for the entire department. 2. Each firefighter must be at least 18 years of age. 3. Each firefighter must be duly appointed by a legally organized and compliant fire department. (4) A legally organized fire department shall purchase provide and maintain insurance coverage in accordance with Code section 25-3-23(b) in a sufficient amount for coverage on each member of the fire department to pay claims for injuries sustained enroute to, during, and returning from emergency calls, disasters, scheduled training sessions and other department-required activities. Upon cancellation or reinstatement of any policy for the coverage of each member of the fire department, the Executive Director of the Georgia Firefighter Standards and Training Council shall be notified immediately. (a) ACCG members shall provide proof of insurance coverage for all personnel the current Estimated Payroll Request form. (b) GMA members shall provide proof of insurance coverage for all personnel the current Estimated Annual Premium form. (c) Departments using other insurance carriers or means of being self-insured shall may provide a copy of the insurance policy, a council/commission resolution or other proof of insurance coverage. (a) A defined area of operation for each station shall be depicted on a map not less than 8.5 x 11 shall be filed with the application for a Certificate of Compliance. (b) A letter from the governing authority of the applicable county, municipality or other political subdivision in the case of any county, municipal or private corporation fire department approving the designated area of authority. (c) An affidavit from the governing authority of the applicable county, municipality, or other political subdivision in the case of any county, municipal or volunteer fire department indicating the operation of the department’s intent and purpose of carrying out the duties, functions, powers, and responsibilities normally associated with the operation of a fire department and the ability to provide fire protection for the area of operation filed with the application for Certificate of Compliance 24 hours a day, 365 days per year. (d) A copy of the insurance certificate or proof otherwise of insurance coverage that complies with Code Section 25-3-23(b) in a sufficient amount for coverage on each member of the fire department to pay claims for injuries sustained enroute to, during, and returning from emergency calls, disasters, scheduled training sessions and other department-required activities. Upon cancellation or reinstatement of any policy for the insurance coverage of each member of the fire department, the executive director of the Georgia Firefighter Standards and Training Council shall be notified immediately but no less than two business days. Before a fire department may begin legal operations, an on-site review must be conducted by GFSTC Staff to confirm the information contained in the Compliance Package. Documentation from the Safety Fire Division of the Office of the Insurance and Safety Fire Commissioner indicating that the fire department is, and remains, in compliance with the reporting requirements for fires by state law as specified in O.C.G.A. §25-2-32(b) and provided for by §25-3-24. The Executive Director of the Georgia Firefighter Standards and Training Council shall issue a Certificate of Compliance according to Rules & Regulations and Policy & Procedures of the Georgia Firefighter Standards and Training Council. Authority. - O.C.G.A. §§25-3-4, 25-3-20, 25-3-22, 25-3-23, & 25-3-24. THE COUNCIL MEETING FOLLOWING THIS ONE WILL BE TUESDAY, OCTOBER 10, 2017 AT 8:30 AM. For your testing information, if your personell does not have a GFSTC number they WILL NOT be allowed to test. Please make sure you add them to your roster before testing. This is causing major problems in our new system. The system WILL NOT download tests without a GFSTC number. If you have entered an end date using the method of clicking on departments, putting end date and status and adding to department, it has come to our attention that when you put an end date for firefighters, it isn't taking them off the roster. In order for them to come off the roster please follow the directions listed below. Pull up the person, click on view. Scroll down where it shows the department(s) the firefighter is listed with. If you have previously did it the other way, please go back and complete these steps. They should come off the roster if done this way. THE LOCATION HAS CHANGED FOR THE UPCOMING COUNCIL MEETING. IT WILL BE HELD IN BAY A AT GPSTC, TUESDAY, APRIL 11, 2017 AT 8:30AM.